Sometimes we want to hear something different. The kind of thing we are not used to hear. Here is a surprising work with a mythical and a very tribal approach of the peoples of North America first nations. 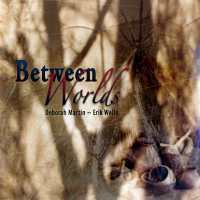 “Between Worlds” is a pleasant surprise which exudes the autumnal legends of the Native Americans. An album to sonorities that amaze and surprise in a world where in a meeting place where two paradoxical universes, but indeed in parallels, couple with instruments of former days and current technology. With Steve Roach collaboration on electronic effects, Deborah Martin and Erik Wollo (two artists recognized to bring very emotional nuances to their creations) concocted a fabulous musical epic stuffed of ingenious sound effects which listens to as the wind sings towards plains, dunes and mountains. Some Indians stories told with a glittering sound dexterity. Always subjected we shall be by this guitar with rangy spectral curves and with meditative night-lamentations which get lost in absent synth breaths. Welcome to the unique musical universe of Erik Wollo. After a detour in the more atmospheric and more experimental musical territories of “Silent Currents: Live at Stars' End”, the poetic nomad of the Scandinavians lands returns to us with an album where the rhythms and ambiences torture fine melodies sometimes cheerful, contemplative or lunar on short minimalist escapades. A fine brook of twinkling arpeggios awakens the sleepy breaths of "Spring Equinox (Prelude)" which displays the floating and contemplative portions of “Airborne”. Slow and oblong synth/guitars layers spread their somber melancholic breezes which wave such as floating spectres, lifting prismic particles which glitter under some intense strata filled of heavy vaporous modulations. A guitar rises. We would believe being at the crossroad of Pink Floyd (Shine one You Crazy Diamond) and Steve Roach (Desert Solitaire) with this guitar which embraces morphic phases with suave solos torn by stillness, guiding the first breaths of “Airborne” towards the delicate rhythm of "The Drift". This soft vampiric rhythm leans on nervous riffs which quiver in a beautiful linear movement on aboriginal percussions and beneath the layers of a dark synth which mixes its hollow breaths with the fine distortions of a guitar which remains rather angelic. With its guitar riffs rolling in loops on a flat structure that sounds like U2, "Red Earth" plunges in a clanic rhythmic which exudes the legends of the American West. Fine tears of guitar obstruct this red sky which reflects its beams of clay on a rhythm became more compressed by percussions of which the knocks as much slamming as felted oversize a rhythmic approach always maintained in its pacificator role by this fusion of synth and guitars to layers and laments which are crisscrossing in an eerie pattern of morphic psychotronic rock. "Airborne I" wakes up to the sinuous and sensual bites of a bass line which smells so much like Patrick O'Hearn's to finally succumbed to the dark charms of a piano of which the melodic pattern is sliding towards a charming and exhilarating electronic ballad. This melodic structure will be the spearhead of "Airborne II" which offers a more fluid rhythmic melody. Softness and meditative poetry in a murky ambience, "Circle Lake" is another pearl with its acoustic guitar which plays its melancholic notes over a cloud of ethereal mist. That's very beautiful and so solitary, as "The Longest Day". "Lost and Found" starts with an atmospheric intro tortured by lamentations a forsaken guitar that synth layers are wrapping with a soporific veil. Fine percussions drum remotely, bringing a feverish rhythmic structure which pounds with a tribal aura which is similar to the nervous rhythm of "Red Earth". "Time River" is a very nice electronic ballad which flies on fine table percussions and soft synth layers with breaths of ether. Discreet, the guitar draws beautiful morphic lines and shapes delicate solos which waltz in the forgetting on a melodic theme that Wollo developed on works such as “Between Worlds” and “Gateway”. Intros molded in ambiences of lost horizons are legion on “Airborne”. They serve to fragile rhythms which surround some sweet melodies sometimes innocent, as "North of the Mountains" which also leans on a delicate hybrid rhythm to the bewitchment as much tribal than morphic, especially with piano notes which whisper a soft nostalgia to our sleepy ears. "The Magic Spot" explores these clanic rhythms in a darker ambience with guitar strata which tear the darkness, throwing sieved veils on balanced palpitations and the murky blows of an absent Didge. The mood is of a tight blackness and settles a climate of discomfort with this thick cloud of palpitations forged in various sonic forms which draw the arid rhythms of “Airborne”. A guitar with crying and metallic tears waters "The Magic Spot" with a veil of bitterness, an element as sombre than melodic which surrounds the rhythms and ambiences of Erik Wollo's last present that "Airborne III" concludes in the same way as it begun, except that sighs of fanciful violins replace the writer odes of a guitar that we would want still so present. 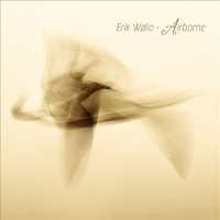 “Airborne” is what we call a very beautiful album. Drawing from the rhythms and ambiences which made the bouquets of “Arcadia Borealis”, “Frontiers” and the wonderful “The Road Eternal”, Erik Wollo offers an inspired and inspiring work where his tears of heart-rending and floating guitars are embracing a fine incursion in a universe as much clanic as “Between Worlds” and desertic than “Stream of Thought”. An ideal mixture which enchants and demonstrates all the Erik Wollo's propensity to work in a mysticism filled by enchantress glimmers. It’s a nice and musical album for the souls who look for the peace of mind in a universe of contrasts where the beauty is often insidious. Here is a work which goes away a bit from the usual structures of Berlin School and New Berlin School that we usually find at Syngate. Batterydead is Christian Ahler's musical project and those who like an EM centred on dance music will be charmed by this work which draws its delight from sequences and arpeggios with crystal clear tones which dance and sing on rhythmic structures in constant indecision flooded by an attractive and rich electronic fauna. “Sands of Deception” is built on structures which begin in some dreamlike cosmic veils and evolve towards mid-tempos and soft technos where the mists of Orion and the violins of Mare Tranquillitatis caress sub-styles which bind themselves to Element 4 and Robert Schroeder. "Escape the Mist" begins softly. Fine arpeggios swirl in shields of mist which drop filet of absent voices, forging a hesitating and undulatory rhythm which exudes the limpid harmonies of Eddie Jobson and his wonderful Theme of Secrets. Swiftness is settling down behind this oniric fog, while that slamming and slightly felted percussions mould a fine cosmic break-dance à la Jarre. Like many other titles on “Sands of Deception” "Escape the Mist" is jumping from rhythm to rhythm and float from ambience to another, fleeing each new step that it has just forged to fly towards others purer or evasive and where glass arpeggios and celestial breaths draw some sweet lunar harmonies. These arpeggios with tones of Arctic xylophone are the cornerstone of “Sands of Deception”. They design beautiful melodious approaches which sing and dance on rhythms in perpetual mutation. Mutations which embrace mid-tempo or lounge tangents and caress by moments cosmic and contemplative spaces, debauching the best of these two worlds to rhythmic paradox. As in "Sands of Deception Part I" which espouses the precepts of "Escape the Mist" with a fusion of lounge and mid-tempo styles. Slamming percussions, ambivalent rhythms and crystal arpeggios are wandering on rhythmic approaches which converge towards a soft lunar techno where the synths loosen beautiful layers of mist which throw an orchestral aura to rhythms more cosmic than earthly. "Spice" is a delicious slow cosmic dance which takes marvellously advantage of its heavy percussions and its bass line to sinuous sensual notes which waltz in a dense screen of outer space mist. "Electron Orbit" is a superb meshing of genres where we have the impression to hear Tangerine Dream at the crossroads of its styles with great heavy sequences and inspired solos which get juxtapose in good orchestral arrangements. After a honeyed intro proper to the evolutionary structures of Batterydead's 2nd opus, "Amazonas" dives towards a soft mid-tempo stuffed with floating pads and arpeggios blown in the melodic glass. It’s quite dancing and there is a beautiful solo of crystalline arpeggios which propels us towards the dreams of being into the Caribbean islands. "Evidence of Life" follows with a pulsating approach and nervous cymbals slowed down by a dense cosmic cloud. The synth is contemplative and decorates this latent rhythm which bubbles with its sequences and cymbals full of restraints. "Starlight" offers a sharply more disco structure. A structure which influences "Sands of Deception Part II" and its charming solos whereas that "Dried Out" moderates the ambiences with a more supple approach. The tempo evolves between two approaches, a more lunar one and a more edgy one with curt percussions / frictions which hatches a rhythm flooded in its cosmic elements. "Arctic Winter" closes with a good electronic ballad. A beautiful down-tempo which teems with arpeggios to sequential essences o f which the melodic plan can only lead us to hem with our shadow. 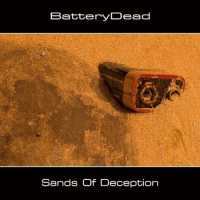 For the slightest bit that we are attracted by rhythms more danceable than cosmic, “Sands of Deception” of Batterydead will know how to charm you. I kind of like this festival of crystal tones arpeggios and sequences which float, roam and spin in structures which walk along constantly between two approaches often at opposites. Those who loved Dreams of my SPACE Vol.I: Thanx for the add will have something to put in their ears, because “Sands of Deception” offers a multitude of approaches of which the same genre touches lightly the various spheres of EM; a little as if Batterydead would be the mirror of all which revolves in the wonderful world of EM. Different certainly but good and especially done well! “Logos” is a hell of opus! An absolute work without faults recorded during the superb and stunning tour of 81/82. An electronic tour where Tangerine Dream, then in the stride of his digital apprenticeship, stigmatized our ears with a meshing of experimental and progressive structures which abounded of these passages always so melodious unique to the signature of the Dream. And this is the strength of “Logos”; rhythms and ambiences which change constantly of orientations, borrowing unsuspected tangents which are always in perfect symbiosis with their melodious dependences. Divided into 4 big themes subdivided by heavily atmospheric passages, “Logos” begins with gurgling and electronic effects which plunge us straight in the core of the discoveries of the Dream's digital era. Quietly a slow rhythm, torn by its psychedelic and cosmic aromas, gets a hold of this long musical fresco. The intro bathes in a cosmic and electronic ambience with a slow rhythm fed by slamming percussions which resound among pads and layers of synth to tones as metallic as spectral so distinct to the Dream. This slow rhythm leads us towards a kind of electronic blues where the synth solos are cooing in a universe stuffed with melodies which will furnish Risky Business and other soundtracks to come. Already 11 minutes at the meter that this melodious approach plunges into a black hole. The synths release some flickering metallic mists and quietly we are absorbed by this strange nothingness kind of approach when percussions appear from nowhere, drumming a fuzzy rhythm which rolls beneath the steams of a synth where choruses à la break-dance DJ (tchick-tchick-ankle) fill the ambience of synthesized slogans. Unbridled the rhythm hiccups on an alert sequencer. It increases the pace on synths with heavy threatening reverberations. This sequencer is sublime. It recovers the rhythm with new modulations of percussions, like some unreal tams-tams of which the frenzy strikings are drawing a stunning harmonic approach in a maze of double jerky strikes. And so is rolling this dislocated rhythm which is submerged by a synth with odd vocal codes and slow, sinuous and spasmodic riffs. This first storm relaxes in a melodious approach with synths with silky harmonies which accompany the rhythm up to its 2nd atmospheric pit at around the 25th minute (there where the 1st part ends on the album version) where hollow breaths adorn a morphic ambience. Percussions bang into this 2nd oblivion phase, awakening synths with sleepy breaths and introducing an ingenuous melody. Metallic noise shakes these dark linear pulsations. Floating, the synth weaves melodies which roam in harmony with their scattered chords. Chords lost in a panting synth and percussions tetanised by a decreasing approach, like a drunkard walking backward. This approach will be abruptly knocked down when that Franke debauches his sequencer into unbridled percussions on a breakneck pace. These sequences with insane strikings give birth to an infernal rhythmic approach which will be harpooned by a solo of sequences and percussions, enclosing a long musical odyssey that will end in a wonderful harmonious finale, a little as if our brave warriors of synthesizer returned their weapons with the firm intention to take them back. And it’s with "Dominion", a very rhythmical title with orchestral synth and catchy tune that ends this splendid opus. “Logos” is sheer madness cultural. As soon as the announcer does the introduction of TD, up until its very end we are hung on. Franke, Froese and Schmoelling play with complicity. Every movement, every reversal and every sequence/percussion are knowingly calculated so as to build harmonious melodies that shake our spinal and raise our arms hairs. Brilliant “Logos” is simply inescapable. And this like many other titles of Tangerine Dream, who in that time amazed from CD to CD, each exceeding the limit of its precedent with melodies which still swirl in our memories. Unique melodies, hung on on constantly evolving structures that still haunt us and demonstrate that the Berlin trio wasn’t second to none for allying experimental and melodic approaches in the same pattern. The more I discover the German label Syngate and the more I discover an electronic universe which reminds me the beautiful years of Innovative Communication label which brought to light the obscure talents of the New Berlin School of the 80’s. 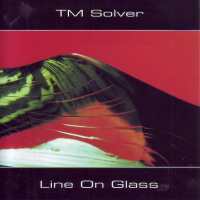 After Fratoroler and its superb Looking Forward, it’s now Thomas Meier's turn, alias TM Solver, to seduce my ears with his 4th album “Line on Glass” which surfs on the wings of the New Berlin School to harmonious fluids as much mesmerizing as its morphic rhythms. Laid on 7 titles which fill the 80 minutes available on those thin silvery discs, “Line on Glass” is a delicious musical journey which revives our souvenirs of the IC era with rhythms and ambiences which cross the universes of Robert Schroeder and Mergener/Weisser, alias Software. Hypnotic and enchanting, "Fall" brings us back straight in the lands of an oniric New Berlin School. Some fine drumming of sequences and light riffs of a synth the of which chords are bursting such as drops in space introduce an opening that will walk along its 11 minutes on a great morphic rhythm. This cosmic rhythm, vitamined by soft percussions and caressed at random by the tears of a cello, swirls in clouds of mists and celestial vocals, vestige of a delicious album which quietly forges a pleasant entrance to our ears. And it’s without waiting that "Tunnel" follows upon "Fall" with its caravan of keys suspended between two senses, drawing a slow and discreet procession which floats among metallic breezes and deformed hoops to opaline tones. Metallic timbre keys collide and resound to open of "Curve Dance", the first title of “Line on Glass” to offer a little more accentuated rhythm. But that remains a rather soft rhythm with sequences which jump up with restraint, multiplying their sound impacts on a structure which moves forward stealthily. Percussions with hits as felted as metallic are ringing throughout this musical route that a synth to ghostly breezes scratches with hollow howlings and silvery breaths. "Crystal Peak" is a beautiful title with some slightly funky curves where a hopping rhythm is constantly cuddled by synth lines full of fruity melodies and harmonized choirs. That’s extremely enchanting and the sequences with forms of hollow percussions sound so much like a crossing between the digital universe of Schulze and the one more harmonious of Schroeder that it’s a real delight. No matter the variety of rhythms in “Line on Glass”, they are always dressed of a hypnotic veil. "Trimming Sinus" espouses a little the tangent of "Curve Dance" with a rhythm which hiccups finely through a synth with fluty melodies. This delicately spasmodic rhythm follows an evolutionary tangent with multicolor and multisonores ions which skip and tinkle in an enchantress forest covered with suave melodies blown by a lyrical synth which frees its voices, lamentations of cello and mystic mists with a harmonious approach which calls back the transition era of Klaus Schulze. Another strong title is "Ophelia", a long and beautiful lunar ballad which reminds me a little of Robert Schroeder's dreamy approaches in the beginning of his career. An acoustic guitar scatters its melancholic notes which float in ethereal breezes and in the whispers of felted cymbals which mold a finely hatched spiral. She swirls in an enchanting setting, catching synth chords which sparkle into silvery breaths while discreet pulsations are shaping a slow morphic tempo which pivot with a contagious euphoria. Always so melodious and evasive, the synth infuses beautiful lines of sea spray and electronic poetry which sing and roam around percussions became a little more slamming but never noisy, confining "Ophelia" in a beautiful dreamlike ballad stuffed with a synth to thousand and one foggy melodies. It’s very beautiful. "Quaver" is a delicious journey into the embryonic times of the New Berlin School era and the cosmic rhythms of Software. The intro is build around a strange frenzy of an intergalactic jungle which encircles a bumbling sequential movement. Little by little the thick cloud of collective restlessness dissipates, leaving room to a sequenced movement with wide staggering loops which zigzags under riffs of a synth to suave melodious lines. Lines which float and wave with tenderness on a tempo which increases a pace always morphic that layers of fog soak of a mesmerizing cosmic envelope. "Quaver" spreads out its 16 minutes with the same poetic and cosmic vision that was the spearhead of Software. The sequences embroider a slightly hatched and finely spasmodic rhythm. A soft, morphic and hypnotic rhythm while the synths throw lead lines of mist and electronic syllables as well as dreamy solos, elements which form the cornerstone of this very beautiful album byTM Solver. The universe of music is in constant effervescence with the emergence of new technologies allowing to recreate an outfit of tones which oscillate between the sound fauna of the analog years and the more contemporary one. Mac belongs to this generation of musicians who like these new technologies. 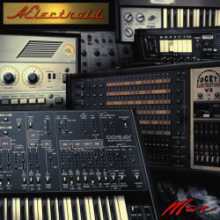 His last opus, “Aelectroid”, was completely conceived from a multitude of VST plugs-in and virtual instruments create by the Polish house Elektrostudio. It’s resulting in a cosmic experimentation album where the personal touch of the Italian synthesist is melting pleasantly to the steams of Tomita, Jean Michel Jarre and Synergy. It's a surprising mixture of styles which charms as much as it disconcerts. 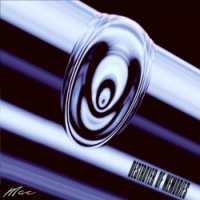 Reverberations full of resonances in a musical world at the borders of a cosmic stream à la Tomita opens "Men from the Moon", and Mac's 33rd opus, with a very heterogeneous approach. After this introductory cosmic storm, a soft solitary flute pierces the void and paves the way to a heavy wave-like sequence from which the key remains hung, creating a strange rhythmic subdivision which flows in a colorful sound dryad. More musical and more spectral, "Landslide" offers a similar structure where the tempo is molded on a minimalism sequence with a frenzied pulsation which clears its path among a variety of twisted solos. "Powerless" is more melodious with its soft cosmic bed song which introduces a synth chant and its analog sound effects of the 70's. It’s quite a nice track that awakes some souvenirs from the Space Art era. "The Asylum" plunges us into the strange spheres of Tangerine Dream, era Phaedra and Stratosfear, with a very beautiful fluty intro which shape an odd musical dance, depicting a fanciful madness born in a synth with twisted movements. Can we say that "Third from the Sun" is a wink of eye to the rumbas of Jarre? I think so! It’s another charming title, quite as "Too stupid to Suffer",which breathes the rattlers percussions effects of Jarre music on a soft approach with the sweet cosmic perfumes which enclosed Jarre's first 3 works. Mysterious, "Defining Moments" has no precise rhythms. Without being atonal this title evolves under various rhythmic approaches where a synth fuses its heavy strata, its oblong and resonant chords of which the brilliancy are encircled by a sequence pattern which turns like a cosmic carousel. I can’t avoid doing it, but each listening of "Dance of the Little Lights" drags me down in the universe of Synergy and the fabulous Chords. It’s a brilliant dance of lights where the sonorous imagination of Mac goes beyond his fiction vision. A very good music piece which depicts pretty well the electro-psychedelic universe of “Aelectroid”. After the soft and romantic lullaby that is "Warmth", "Aelectroids (Another Wing)" concludes in a kind of musical fiesta which resumes the musical and sound universe of “Aelectroid”. It’s a track at once complex and harmonious where the synths are sidestepping on quirky and split up rhythms, like the step of a fat cat on a razor wire. "Destroyer of Memories is a dark album full of bitterness and resentment where the boiling Italian synthman averts his spells and faults"
“Some people just disappear or fade from your life. Others manage to linger on long enough to destroy all the good memories you could preserve of them and the part of life you shared with them” Mac, May 2012. It's in this vision and these experiences of life that Mac conceived the main lines of the 18th album from his Classic EM series. You will have guessed it; “Destroyer of Memories” is a dark album. An album full of bitterness and resentment where the boiling Italian synthman averts his spells and faults with an EM which continues to investigate the labyrinths of the protean structures with rhythms and ambiences which call out to one another in a brilliant symbiosis where the paradox reigns in a universe of contrasts. The fine sequences which flutter at the opening of "How Sad" forge a nervous rhythmic approach which makes roll its timeless loops up to the heavy twists of a synth with acuteness breaths. Agile, they spin with grace in a glaucous universe where the harmonies are rising with pain in the soul before subdividing their rhythmic singings towards a more fluid movement, impregnating an undulatory rhythm which coos under the lyrics of a more melodious synth. "How Sad" is a great way to enter into the universe all in contrasts it of Mac. 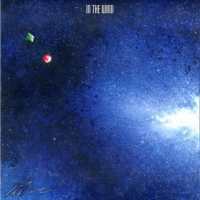 Flying on the wings of In the Wind, the Italian synthesist continues to merge his view of classic Berlin School with more progressive approaches or even downright rock as in "Why Now" and its tempo of gang of street which skips on the ample undulations of a line of bass. As much heavy it is, the beat is besieged by fleeting clouds of limpid sequences which come and go to titillate a robotics rhythm. A pace of lead which stumbles over isolated synth pads and heavy riffs of an electronic guitar that even the beautiful flights of a fluty mellotron can’t manage to contain. It’s little as if Peter Baumann's harmonious universe would meet a mixture of Synergy and Michael Rother in fury. "Like a Phonograph Caught in a Groove" widens its pattern of ambiguity in an eclectic mist from where emerge layers and floating coils of a melancholic synth. Sequences come out from these abstracted paintings to skip of an undulation which hiccups of spasmodic kicks in a sea of cloistered excitement. This dead rhythm embraces some more harmonious lights at around the 9th minute with the appearance of another sequential movement which sparkles of an evanescent crystalline tone before falling in an interstellar space where shines a multitude of isolated ions. Ions which trumpet like a concert of xylophone in emptiness before espousing a brief more concrete rhythmic structure. An ephemeral rhythm which plunges into an ambient finale stuffed with the heavy reverberations of a stormy synth which drops its laments in a cloud of ether. "No More" is a good post Düsseldorf School title with percussions which click of a movement introducing a parade of fashion with its cybernetic models. The movement is curt and fed by oscillating curves which undulate under a thick cloud of waves of an ochred synth which throws its sighs and lamentations through a blanket of mist. Stigmatized in its synth-pop approach, the tempo is switching shape in the middle-route, embracing a tangent as much technoïd as futurist with fine sequences to tones of a xylophone of glass which spin and dance vigorously under the twisted solos from a synth to hybrid tones. "Last Attempt" is a brief escapade in an intergalactic universe, introducing the very ambient and vampiric "Just Vanish" which follows the stormy tangent of a tempo crushed by a tempestuous heaviness of a synthesized thunderstorm and its layers of an acrimonious synth, vestige of emotional tearings which strew the tortuous evolution of “Destroyer of Memories”, a work crystallized in its vindictive approach. "More than an album of conventional EM, In the Wind allies several universes under the same shelter"
Let’s be honest! Every time that I approached a work of Mac, I did it from the tips of my ears. To many of us, the Italian synthesist is not to be seriously taken. Locked in his ivory tower Mac produces music at a breakneck pace. From classic Berlin School to a horror or sci-fi tales while passing by easy-listening and loud prog rock, Mac touches to everything and lies down all his musical fantasias on CD, or in downloadable format, that he offers for free on his Web site. Considering the proverb that the quantity floods the quality; this proliferation of music and genres leaves several sceptics regarding the quality and the integrity of his works. And nevertheless! “In the Wind” is a very good album where the roots of Italian progressive music soak into the influences of Tangerine Dream of the 70's. Ignoring the snobbery of which he is the object of some of his peers, Mac can easily look up and down those who look at him of scornfully because he shows beyond any doubts that free music can also be synonymic of quality. After a short ode for winds in "Prologue", the delicate drums which roll among some electromagnetic breezes open the doors to the stunning "Be Ashamed" and its bipolar rhythms. Layers of old organs spread an occult blanket while a filet of synth espouses the voices of ghostly mermaids which hoot on a superb bed of sequences of which the hopping ions dig a delicate circular rhythm. The percussions harpoon this upward spiral that strata of mellotron mist are covering of an aura of the 70's poetry. Serene, the tempo tumbles over on more fed percussions and sequences which hiccup furiously while the pace of "Be Ashamed" falls in love with a spasmodic movement where cymbals and devastating lines of organ take the shape of a rhythm which evolves frenziedly to reach its peak with limpid arpeggios which feast in the shade of furious synth solos. And quietly the tempo slows down, cowering over fiery growls and lamentations of a guitar which exchange its solos and riffs with synth solos as much passionate as angelic. These protean structures which knock down the evolution of "Be Ashamed" are the cornerstone of “In the Wind” where the heavy and pulsatory rhythms at pluralism velocity get lost in ambiences sometimes ethereal and cosmic. With its metallic breezes which sing under intense pulsating intonations, "Cold Fury" is a prelude to "Unearthed" and to its musical universe which swings between Tangerine Dream (Ricochet and Green Desert eras) and the apocalyptic visions of Vangelis. The intro spreads a dark veil with heavy twisted reverberations which mutter of their bitter waves until the twilight of a cosmos imprinted of embryonic dreams. The structure emerges from its lunar sleep a little after the 4th minute with the return of the swaddled reverberations from where are escaping some beautiful guitar laments, announcing a rhythm with slow undulatory strides which zigzags awkwardly under the breaths of a ghostly synth. And the rhythm of "Unearthed" pours towards a more progressive structure with very good percussions and a mixture of solos of synths and guitars, of which the piercing breaths swirl around delicate crystalline arpeggios. Well sat over its 23 minutes, "Wrong Week" illustrates all the diversity of rhythms and ambiences that we find on “In the Wind”. Musical and scheming, the intro floats between two spheres with its brief uncertain pads which roam between ringing of bells. Sequenced ions pierce this membrane of uncertainty and are dancing in a delicious invertebrate spiral from which the lively flow winds a thick cloud of chords and lost breaths. The whole thing draws a stunning chassé croisé of sequences and twisted melodies which zigzag in a hallucinating symbiosis which hiccups of a chaotic rhythm under a din of percussions with stormy movements and spasmodic sequences. These hatched keys spin under mists of mellotron and melodic spasms of a synth to psychedelic fragrances as well as a guitar to concise solos but with heavy riffs. This rhythmic effervescence gets quieter at around the 14th minute, a morphic period of "Wrong Week" with its long hollow hootings which blow in a universe of eclectic ambient tones. A wonderful mellotron flute emerges from it, a little after the 17th minute, entailing the listener in the dreamlike lands of the Dream , circa Rubycon and Phaedra. Souvenirs which take root with the slow staccato crescendo which follows and which drags "Wrong Week" in a superb final where the electronic approach is soaked with this Daliesque notion which encircles the structures of “In the Wind”. The title track concludes this unexpected discovery that is “In the Wind” with a balladesque approach where a beautiful acoustic guitar polishes its melancholic notes in the breaths of a misty flute. It’s so beautiful! 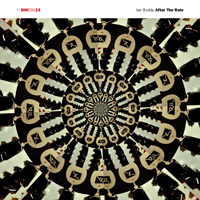 "After the Rain is an immense monument of abstract EM where Ian Boddy pushes the limits of his Serge Modular system and his Ableton Live"
Clouds of metal in fusion are freeing strands of steel which float and crisscross at the opening of "The Final Transmission". As rustles of magmatic spectres these strands switch shapes for fine galactic waves of which the guttural breaths go astray in an abyss where the white noises prevail on silence. Recorded live in Berlin’s Basic Electricity at the end of June 2012, “After the Rain” is an immense monument of abstract EM. It’s an experimental work where Ian Boddy pushes the limits of his Serge Modular system and his Ableton Live with a thick cloud of electronic tones which forge the elements of black silence or some shoves of rhythmic adrenalin. Like in the 2nd part of "The Final Transmission" where beeps and galactic sound elements shape electrostatic oscillations which roll as musical waves in an ocean of intra-galactic tones. It’s a world of fusion where the abstract produces impulses which roll in an oblivion of slow combustion before getting lost an immense space storm. What amazes and makes all the charm of “After the Rain” is the impact of these abstracted tones in a pair of earphone. Never the emptiness will have been so musical and this, even if the melodies are hiding in a world without harmonies. The title-track is a slow symphony of electronic sound elements which agglutinate in an immense arrhythmic mass. Delicate sounds which float and roam, getting closer one by one to quietly forge an implosive first storm between the 6th and the 10th minute. Ian Boddy makes a display of the sound possibilities of his Modular Serge on "After the Rain" by releasing a pallet of arpeggios which come and go, as cosmic jellyfishes, dancing, dreaming and waiting for the Sea of Tranquility to unchain its cooled ions. Ions which stammer an extraterrestrial language, a little as to establish a verbal contact, before that the excitement gets a hold of the cybernetic dialogue and that blow the abstracted winds from a storm to come. These winds of Orion are roaring with scrawls in breezes, amplifying even more the abstract wall which separates our ears of the imagination. And so is going this huge fair of tones and entangled movements which forge the cosmic storms and calm them with passages as much soft as the latent implosions, feeding an electronic shower of the most experimental that Ian Boddy brings to our ears with a bit of abstract poetry. A peaceful shower which bursts out with a finale deserving of better musical storms than the universe of the analogue modulates with stunning rhythmic precision. A universe where the imagination of the English synthesist is boiling as much as the agitation of the arpeggios which dance and tear each other to pieces in a finale that we wish a bit longer. This live event available in a download form comes with two short demos of both titles on “After the Rain” where the rhythms, the cosmic melody (After the Rain demo) and the cosmic ambiences are fairly divided the length, just to show us all the amplitude of the improvisations that Ian Boddy has embroider for this concert in the lands of the abstract and experimental EM. 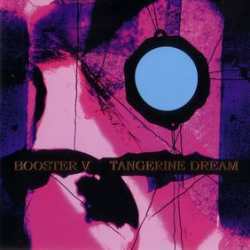 "The 2011 year in the EM planet belongs to Tangerine Dream and Booster V is the perfect musical witness of this great year"
You missed albums such as The Island of the Fay, The Angel of the West Window and Finnegans Wake? Well here is a beautiful opportunity to buy back this mistake. Because not to possess one of these albums deprives you of all rights of bitching against the recent artistic motivations of Tangerine Dream. But beyond this very partisan entrance on the subject, “Booster V” is not a best of the Sonic Poem Series, but it is a great way of tasting the last works of the Dream which are getting more and more interesting. Besides the 9 titles of the Sonic Poem Series, “Booster V” offers the most beautiful title of Zeitgeist (Rubycon 2010), two from Mona da Vinci ("Morpheus' Light" and "Calumet"), two from The Endless Season ("Escape" and "Wild Ocean of Blue Fate"), as well as two remixes and 4 new compositions among which 2 which are particularly very interesting. "Calymba Caly (Figaro’s Fine Cut)" starts this new Booster with a remix of one of the most estimated titles from the 80-81 tour. If the rhythmic structure is intact the harmonious envelope misses a little of vitamin. Without being a musician, it seems to me that I would have made something more incisive in studio. It’s good, but no more than that! "Beauty of Magic Antagonism" is the first one of both The Island of the Fay's titles, the other one being "Fay Bewitching the Moon". If I fully agree with this last title, which is a pure jewel of the Dream crown, I am a little less for "Beauty of Magic Antagonism", which is a beautiful ballad. I would rather have opted for Marmontel Riding on a Clef or Darkness Veiling the Night, but I’m just a fan... "Rubycon 2010" and "The Silver Boots of Bartlett Green" (What a track!) are in their places on this compilation. They precede the first two novelties on “Booster V” ; "Shining Ray" and "Twilight Dance". I like "Shining Ray" which espouses quite well the rhythms and ambiences of the Sonic Poem Series, while the psychotic rhythm and the celestial harmonies of "Twilight Dance" leave me cold and this in spite of the heavy pulsatory rhythm and the lines of sequences which crisscross in a spiral dance. Afterward it’s the round of hits with "Morpheus' Light", "Escape", the very beautiful "The Invisible Seal of the Holy Tribe" which, with the striking "The Silver Boots of Bartlett Green", "Hoël Dhat the Alchemist" and "The Mysterious Gift of Mankind" comfort marvellously our need to re-hear The Angel of the West Window. "Hermaphrodite", "Resurrection by the Spirit" and "Mother of all Sources" are also great titles which represent quite well Finnegans Wake. Only The Sensational Fall of the Master Builder is missing. One of the key elements of “Booster V” is the way that the titles are placed and follow each other. Edgar diversifies the rhythms and the softer moods, adding to the fluidity of the harmonies which cover the works of the Dream since the end of the Virgin years. At this level I think of "Hoël Dhat the Alchemist" and "Mother of all Sources", two title which without having the same rhythmic structure offer harmonies which juxtapose with an immense melancholic approach. "Sailing through the Night" is a novelty which brings nothing very new to Tangerine Dreamrepertoire. The voices of plastic remind me the very cold universe of Winter in Hiroshima, but the solo of guitar is good and very driller of souls. "Booster Battery" is the last newness of the Froese/Quaeschning duet, and it’s rather good. The rhythm is slow and progresses with sequences à la Flashpoint which crisscross on the fly beneath the slow singings of a lyrical synth before landing on a heavier tempo fed by weighty percussions. "View from a Distant Star (Milky Way Mix)" was an unreleased track which appeared on the live album from the Moogfest held in North Carolina; Knights of Asheville. It’s a soft electronic ballad which finds its beauty in its orchestral arrangements of which the slow strata are all in contrast with the rhythm of percussions. After a light title taken out of The Endless Season ("Wild Ocean of Blue Fate", me I would have preferred Devotion or The Seven Barriers), "Fay Bewitching the Moon" concretizes the magnificent musical year that Tangerine Dream offered to his fans in 2011. I’m a fan and I’m also an honest one! When it’s not good I say it and when it’s good I say it loud and clear. Sometimes I’m carried away because Edgar always knows how to light on, as to put out, my passion towards his works. And it’s this passion which urges me to say to you that “Booster V” is an essential in the universe of excessive multiplicity that is the production of Tangerine Dream compilations. Not that the offered novelties are incredible, that not. But rather because of the origin of albums aimed by this compilation. The 2011 year in the EM planet belongs to Tangerine Dream. Albums such as The Island of the Fay, The Angel of the West Window and Finnegans Wake are inescapable works where the rhythms, melodies and ambiences espouse marvellously the premise of their inspirations. If “Booster V” is not a compilation of this series, it looks like it. That also gives you the chance to obtain the best of the CupDisc, exception made of The Gate of Saturn and its boiling Vernal Rapture, released during the same period as well as some unpublished titles which add to the necessity of obtaining Booster V.